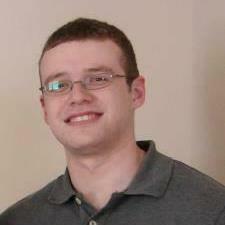 I am a recent engineering graduate who does math and physics tutoring in College Station. The subjects I teach most often are calculus and college physics, but I can help with all levels of math, physics, chemistry, and engineering as well. My students have come from UT, A&M, ACC, Blinn, Westlake HS, LASA, and many other schools. In addition to tutoring independently, my teaching experience includes working at a local tutoring center (700+ hours) and serving as both a teaching assistant and an instructor at UT. I have a BS in chemical engineering from UT Austin (3.9 GPA) and an MS in Computational Science, Engineering, and Mathematics also from UT. My tests scores include a perfect score on the math section of the GRE and a 98th percentile score on the verbal section. My main strategy is to start from simple examples and work up to difficult problems, showing where each technique is necessary and that the difficult problems often have the same framework as the simple ones. I have taken all of the courses that I teach, and I am very familiar with the skills and knowledge required to succeed. Note: During Spring 2019, I am available on weekday evenings and weekends. I am especially interested in helping with engineering and upper-division math classes. I prefer in-person tutoring, but I am open to doing online tutoring for MATLAB and other programming-related topics. Rate details: Group rates available. Full charge for cancellations without 24 hours notice. I have experience writing code in C++ for my classes and for research. I am familiar with loops, conditional statements, etc. Most of my experience with (and interest in) C++ involves numerical methods and scientific computation. I have experience using MATLAB, C++, Java, and Python. I have used programming languages for my coursework and for some of my graduate school research. My focus during tutoring is to start from simple examples and slowly build up to more complex code. Most of my programming tutoring experience comes from helping with "Programming for engineers" classes. I also have experience (classes, research, and tutoring) with writing code for numerical methods. I have taken a variety of courses that involve programming in MATLAB, Java, and C++. I can help with introductory courses in computer science that teach topics like loops, conditional statements, etc. Most of my experience with programming is in scientific computing for classes and research projects. I can also help with discrete math courses that often are a part of computer science degree plans. I can also help with most topics in discrete math classes that are required for CS majors. I have helped students with all aspects of MATLAB, from introductory programming to writing code for advanced numerical methods. I have taken several courses that use MATLAB, including an introduction to programming course and numerical methods courses at both the undergraduate and graduate level. I have also used MATLAB to do computations for various research projects. I have helped students using MATLAB in chemical engineering, petroleum engineering, aerospace engineering, nuclear engineering, and geology classes. My experience in numerical methods includes linear algebra, solving nonlinear equations (and systems of nonlinear equations), ordinary differential equations, partial differential equations, and more. I took an engineering statistics class in college, and I have used statistics for other classes/projects. I have a good understanding of probability, linear regression, inference, etc. I can help with AP statistics at the high school level and introductory statistics at the college level (freshman/sophomore classes). Algebra 1 is often the place where students first run into trouble with math. Due to the age and maturity level of students in Algebra 1, one-on-one attention from tutoring is usually very helpful and can get students back on track quickly. I have experience teaching Algebra 1 to students with a wide range of abilities. Algebra 2 starts off slowly with mostly review of Algebra 1, but things pick up quickly. Topics like polynomials, probability, and conic sections can be challenging yet interesting. I have helped students from a variety of backgrounds with Algebra 2 classes at many different schools. I have helped many students go from failing calculus to mastering the material. I have also designed lessons and created assignments for a 10-week calculus class, so I can go beyond just helping with homework. I have spent more hours tutoring calculus than any other subject, and it is my favorite subject! I took chemistry and AP chemistry in high school, and I took many chemistry classes in college. I especially enjoy certain chemistry topics that are important in chemical engineering including: kinetics, thermodynamics, and equilibrium. I can help with general chemistry classes and some portions of physical chemistry classes. Proofs in geometry can be very challenging for even the best students. To teach proofs, I like to start with the simplest proofs and build up slowly. This gives students a chance to see how to how proofs work before going to the more challenging proofs. I also encourage testing theorems before proving them, to see if they are true and to gain intuition. Furthermore, I recommend organizing all of one's proofs in a single place, like a notebook. This strategy creates a resource that has many different examples of proofs, and it also helps teach organizational skills. After calculus, physics is the subject that I tutor the most. I can help with algebra-based physics and calculus-based physics classes. When I teach physics, I like to emphasize understanding the principles of physics (conservation of energy, newton's second law) and using those principles to write equations. With this approach, students can set up and solve their own equations rather than relying on memorizing solutions written by someone else. Depending on the school and the level of the class, precalculus can cover many different topics of varying difficulty. Algebraic manipulation, functions, trigonometry, vectors, and many other subjects are important for classes that come after precalculus (like calculus!) I am familiar with all of the topics in precalculus, and I can motivate the topics by explaining when they are used in other math classes. When I help with SAT Math, I like to focus on several things. One topic of interest is specific flavors of problems - there are strategies for the common types of problems (weird symbols as operations, algebraic manipulation of systems, geometry, etc.) that show up all the time. I also like to focus on converting problem statements to mathematical equations or expressions. I also recommend 1 or 2 practice tests per week over the course of at least a month. Starting one week out wont work! I can help with mass and energy balances (CHE 317 at UT or 204 at A&M), transport phenomena, and numerical methods / MATLAB. Please ask me about subjects besides these. I have a Bachelor's degree in chemical engineering. I graduated with a 3.9 GPA and made nearly all As in my chemical engineering classes. I am familiar with the knowledge and skills required to be successful in these classes. I took differential equations during my freshman year. I liked this class because it covers many aspects of ODEs while also introducing interesting topics like PDEs, Laplace and Fourier Transforms, etc. During my senior year, I took an in-depth class on partial differential equations, and I continued my study of differential equations in grad school. I can help with ODEs (M427K at UT, MATH 308 at A&M) as well as more advanced classes. I've had experience with many of the topics in discrete math, like logic, set theory, functions, and combinatorics. Classes in discrete math are often the first time a students gets exposed to proofs - a very important tool in higher level mathematics. I enjoy using basic definitions and axioms to build up to new and interesting theorems. I've helped people with discrete math classes in both math departments and computer science departments, including the classes at the University of Texas and Texas A&M. I have experience with all of the topics in finite math - probability, combinations/permutations, inequalities, matrices, etc. I have tutored many students taking this class and related classes with success. I have taken linear algebra classes at both the undergraduate and graduate level. I have also used a decent amount of linear algebra in other classes and for research projects (SVD, eigenvalues, etc.) I can tutor undergraduate linear algebra classes. Let me know what topics you're covering so that I can bring appropriate materials/practice problems. I have experience with statics, dynamics, thermodynamics, heat transfer, fluid mechanics, and numerical methods (see MATLAB subject). I can help with statics courses. I have been a teaching assistant for statics at UT for two semesters and an instructor for one semester, so I am very familiar with the entire course. I can help with transport phenomena classes (heat transfer, fluid mechanics, mass transfer) as I took similar courses for my chemical engineering degree. I have taken a dynamics class at UT and I am familiar with most of the topics. I am familiar with parts of solid mechanics. I am familiar with all probability topics taught in high school classes and in undergraduate probability classes. I can help with upper division probability classes like M 362K at UT and MATH 411 at A&M, and I can also help students with the actuarial exam covering probability. Topics include counting, axioms of probability, set logic, conditional probability, distributions, etc. For certain topics like counting and conditional probability, I encourage solving the problems using intuitive arguments and seeing how those arguments can compare to a more rigorous or logical approach. I have taken Organic Chemistry 1 and 2, plus the corresponding labs. I did well in both courses. On occasions, I have used the information that I learned in my Chemical Engineering classes. I enjoy teaching the logic and science behind organic chemistry problems and common chemical reactions. I can do tutoring for the first semester of organic chemistry. I was having trouble with college engineering physics and so I found Brad. I met with him once a week for about an hour and I was very pleased with his help. He was easy to contact and schedule appointments, and we were able to cover a lot in that hour. He was also very good at helping me understand concepts that were difficult and helping me learn to analyze the problems. My grades definitely improved as a result of my tutoring with Brad and I would recommend him to anyone that needs help with physics. Brad has tutored me for the past couple of years in Chemistry, Engineering and Physics. He is extremely knowledgeable. I would definitely recommend him to friends. Very good at explaining what you don’t know and very patient. Doesn’t get mad, and walks you through every step. One of the best math tutors to have. I definitely would recommend to anyone who is struggling in math. Helped me a lot with work and energy problems. Brought my homework and we worked through it. Will definitely do another session on next topic in class. They worked on polynomial curve fitting and reporting to text files. He explained working on the curve fitting code - power law fits, trigonometric fits, least squares derivations, etc. He has been a great help to my daughter with her Matlab project. He explained everything really well and was very patient with me when I took a while to understand a concept. He was very understanding, and not condescending in any way like some of my past tutors. We worked redox reactions, net ionic equations, limiting reactions, etc. and he was good at explaining things. A M A Z I N G MATLAB Tutor! My son has had multiple tutors for math. Brad was the one he felt was more understanding of the process of meeting the student where they are and guiding them from there. Brad helped me with Calculus II concepts and helped me review for my test (tamu Math 152). I came with a variety of different questions and he was able to answer all of them in the short hour that we spent together and he helped me with a homework question that I was stuck on! He's super nice and patient. If you need tutoring, you should definitely use Brad. I will probably use him again. Thanks, Brad!